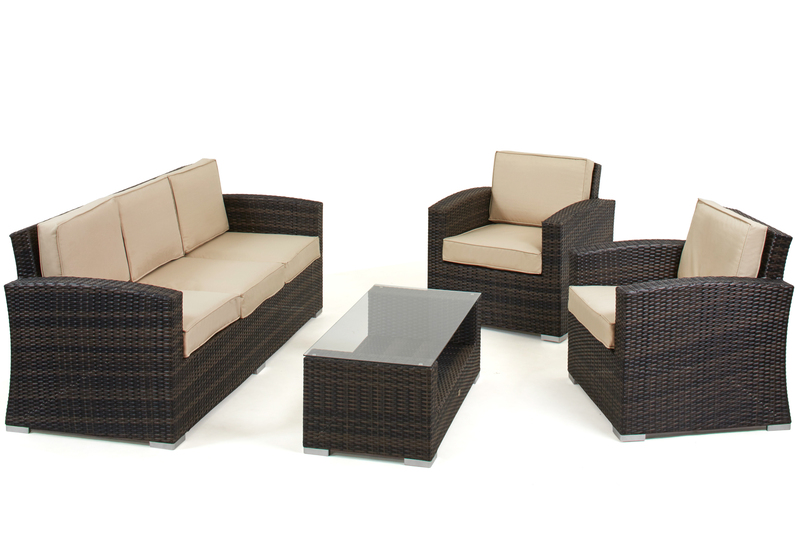 Bring indoor comforts outside with the Kingston 3 Seat Sofa Set that is stylish, comfortable and extremely durable. 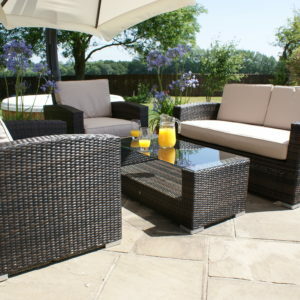 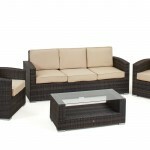 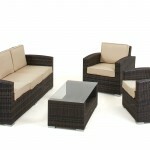 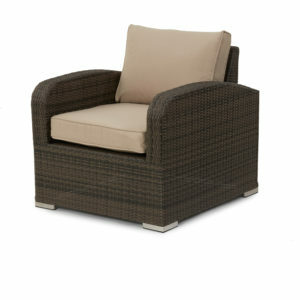 Ideal for in the garden or a conservatory, this set comes complete with a coffee table and extra thick luxurious cushions. 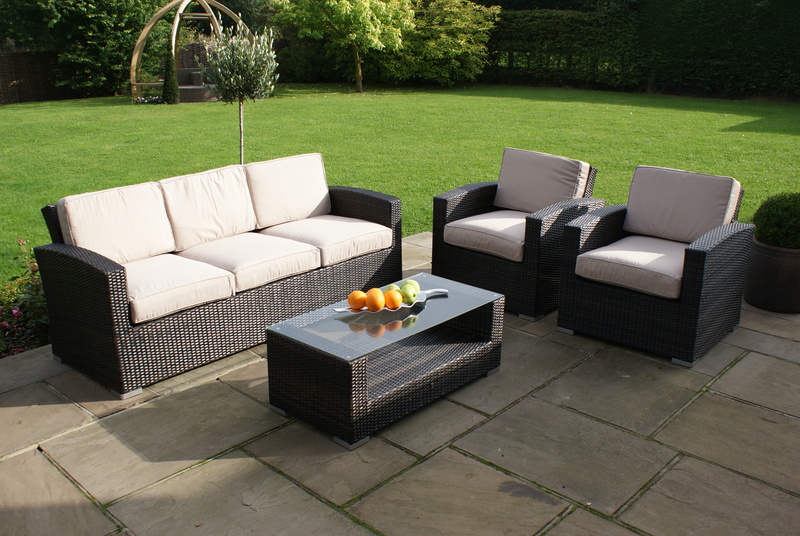 The hand woven dark brown synthetic weave brings a contemporary tone with cushion colours that beautifully contrast against the chunky frame. 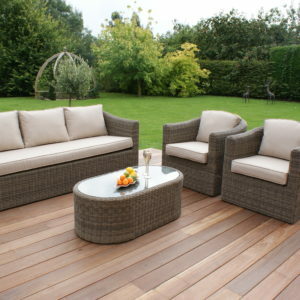 This sofa set is a place where you can take time out and sit with a book or a drink soaking in the sun rays on a warm summer’s day. 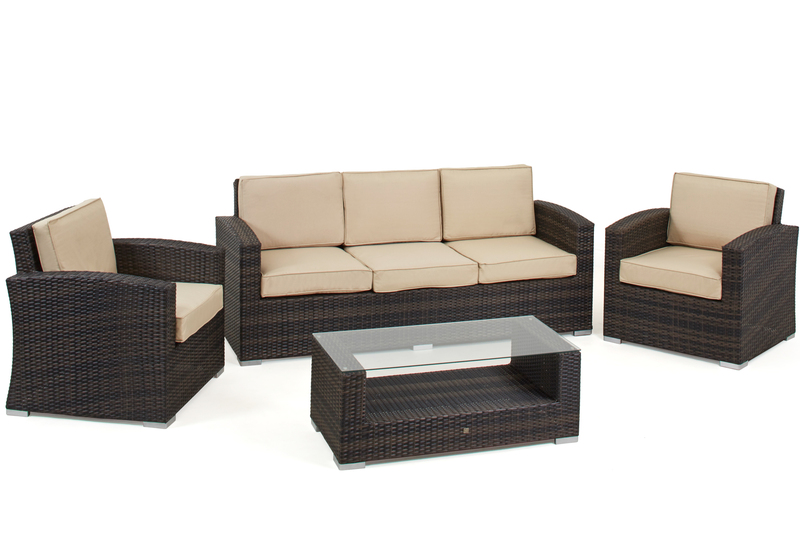 One of the main fantastic features of the Kingston 3 Seat Sofa Set is that it is maintenance free and can be left outside all year round.